thoughts matter – Listen to this poem by Walter D. Wintle – born in late 19th century. It is hard to believe but electrons would remain electrons unless directed where to go to be assembled into atoms and molecules and this director is MIND creating MATTER. Well, this could be my last ‘Think about It’ blog, after 6 months of learning how much our thoughts matter. I need to think about how I am feeling about my course coming to an end. Now I am pretty clear on the meaning of Thoughts, but decided to look up MATTER in the dictionary. Yes a paperback dictionary. The top 3 definitions…and what we learned. 1. Physical substance or material (in physics) that which occupies space and has mass. 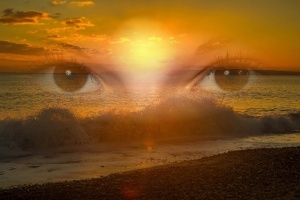 Thoughts are creative – so within the realm of natural laws, you can manifest/create for yourself the things you desire. The possibility of a flying machine was thought of to be crazy until the Wright brothers believed it was possible and set their minds toward accomplishing it! 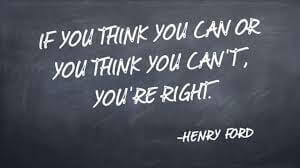 Henry Ford believed and wouldn’t take no for an answer when he put his mind to having what he believed was possible. I found an interesting definition, as our class subject was all about thoughts mattering. Thinking is the answer to all problems. “Thought creates a mental plan – physical MIND OVER MATTER. WHAT YOU THINK ABOUT MANIFESTS, WHAT YOU THINK ABOUT GROWS. It is not only that what you think about matters, there are natural laws to follow – clear, decisive, calm deliberate, sustained thought with a definite end in view is what can change your life for the better. If you want to eliminate lack, you need to think over and over and over again about abundance etc. And not only do our thoughts matter, but our subconscious mind actually takes over and makes decisions constantly from information it has gathered for a lifetime. Even if we think we are deciding about something our subconscious has already made the decision for us, so it is important to keep feeding good information into the subconscious in order to eliminate information that is not helpful to your wishes. An example of this would be, if you heard as a child that you shouldn’t talk to strangers, your mind is still using that information – not helpful if your job involves talking to strangers! So always keep good thoughts as much as possible. Be the watchman of information at the gate of your subconscious. It matters. There are laws, rules and ways of speeding up what your definite purpose or wish in life is, but I think the greatest of these are LOVE. Adding love to everything just makes everything better!! FAITH IS THE BASIS OF ALL MIRACLES YOU WISH/PRAY FOR! The following words repeated over and over again can bring you and others better health/wellness. “I am whole, perfect, strong, powerful, loving, harmonious & happy! Obviously we learned and thought more about how the mind could create our future in a six month course, too much to include in one blog, but I do think that everyone should learn more about what goes on in their head instead of knowing more about their phone, so I would highly recommend that to change the rest of your life to what you desire, it is well worth being a part of the next pay-it-forward six month MKMMA course. or have you been going along week to week in quiet desperation. Mental power is creative power and gives you the ability to create for yourself the things that truly MATTER! Think about it! You can be, what you will to be! Now isn’t that a mouthful? So true, so simple yet so hard for all to grasp. And to think of helping others with health all we have to do is just think. As the master key 24 says, just having the intention to help is all we need, then clear our thoughts to only what we need to help ourselves. See you soon in that glass of bubbly. Great Post on your Blog as always Connie. It’s a bit weird the course is almost over, and yet the paths we’ve paved for ourselves will go on and still so much to gain! Best of everything to you! If you continue to blog about your journey, I will be here to read them. And I always keep my promise. Mahalo, and Bunches of Aloha to you and yours? ?